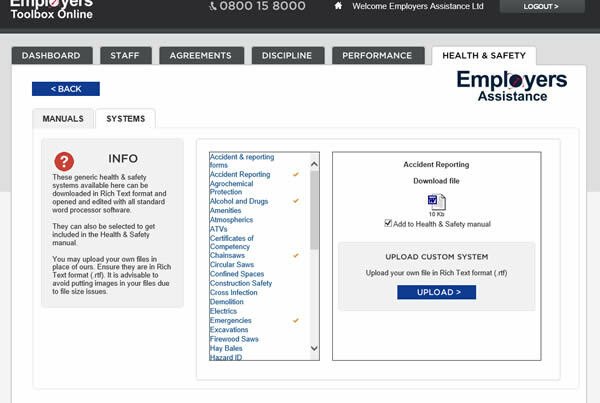 Currently the online Health & Safety system in the Employers Toolbox offers 36 systems which can be used and included in the downloadable Health & Safety Manual. Until now these systems have been fixed and non-customisable. That has just changed. Users are now able to download these systems, customise in Word (or equivalent program) and then re-upload them into the system for merging into their customising Health & Safety Manual.